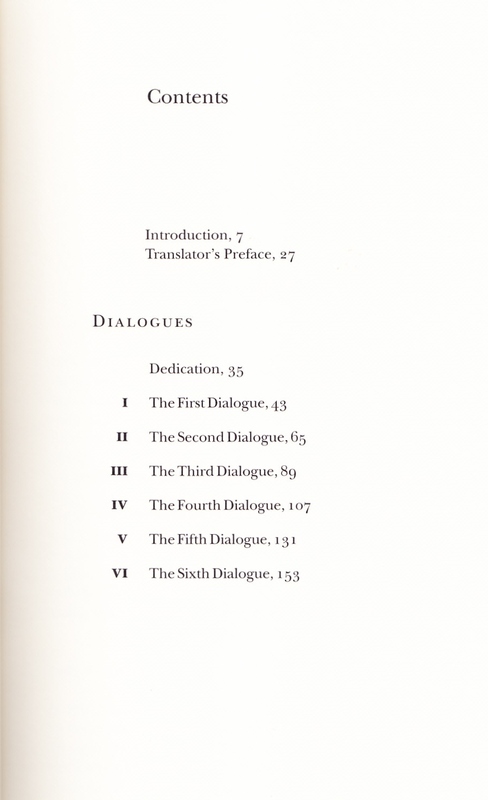 Dialogue is one of the Classical genres reclaimed by the Renaissance, which turns it into a hallmark of the period. To name but a few of those who adopted the genre and undoubtedly moulded Renaissance thought, we need only think of Pontanus, Bembo, Machiavelli, Erasmus, Castiglione, Valdés, Minturno, Speroni, Patrizi or Tasso. Dialogue is an argumentative genre that is especially appropriate for reflecting on philosophical, artistic and political propositions and thinking about everyday reality. It does so by using fictional means, by way of speakers, a setting and a plot. 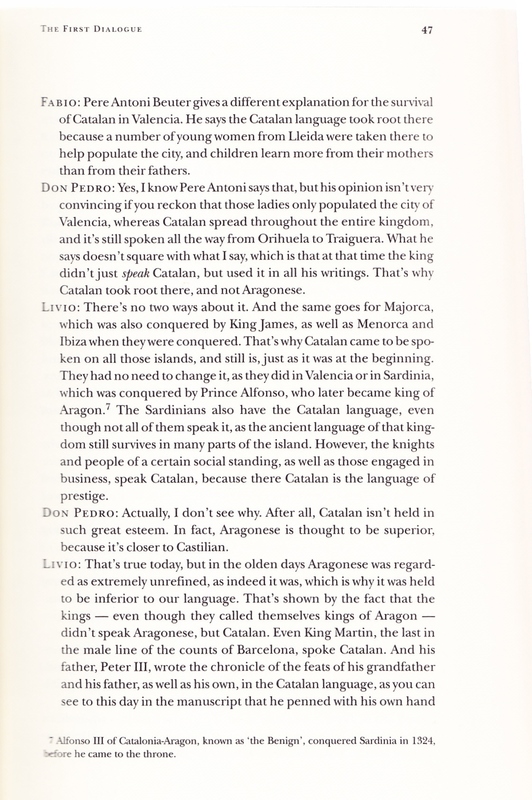 In the Catalan-speaking world nearly forty dialogues were written in the course of the Renaissance. 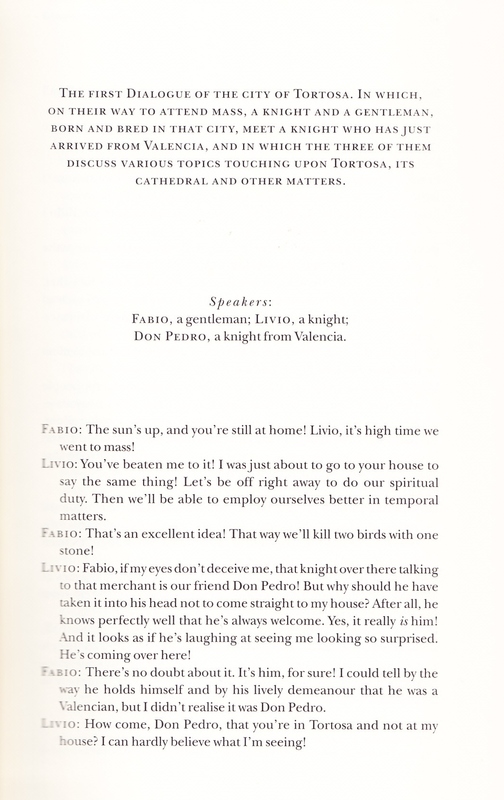 Despuig’s Dialogues stand out from the rest by the extent to which they incorporate the most innovative aspects of the genre: the dramatisation of Renaissance multiple perspectives and the consistency of the fictional plot that provides a structure for the ideas. 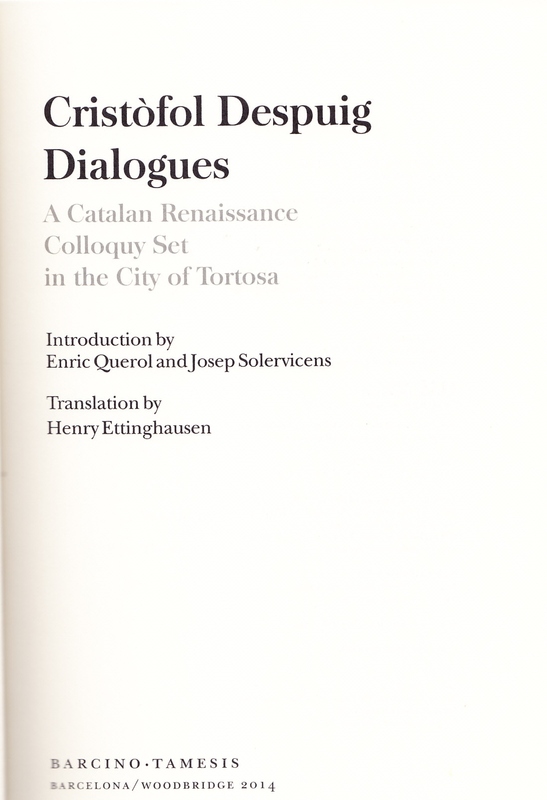 The Dialogues written by Cristòfol Despuig in 1557 under the title Los col·loquis de la insigne ciutat de Tortosa offer a critical review of a host of issues that were topical at the time. 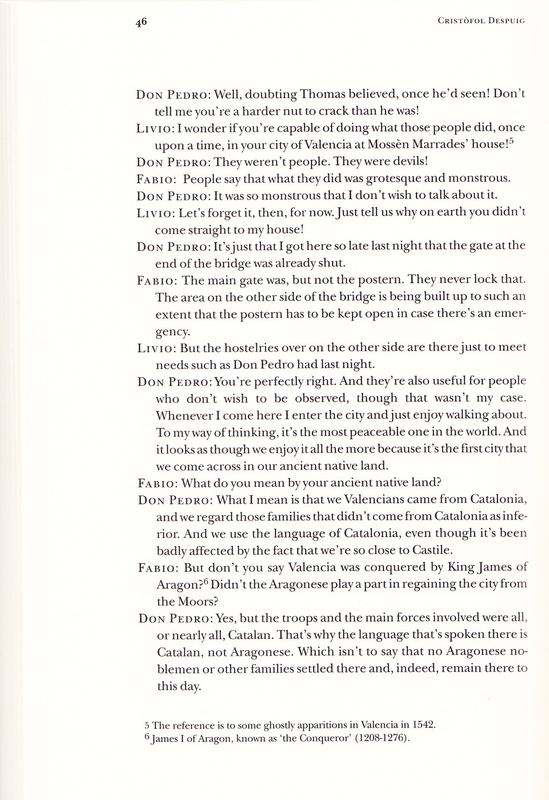 The three speakers in the work – Livio, the knight from Tortosa; Fabio, the gentleman from Tortosa; and Don Pedro, the knight from Valencia – elegantly exchange their subtly contrasting views regarding politics, society and the Church as they stroll through the streets of Tortosa and sail along the Ebro. 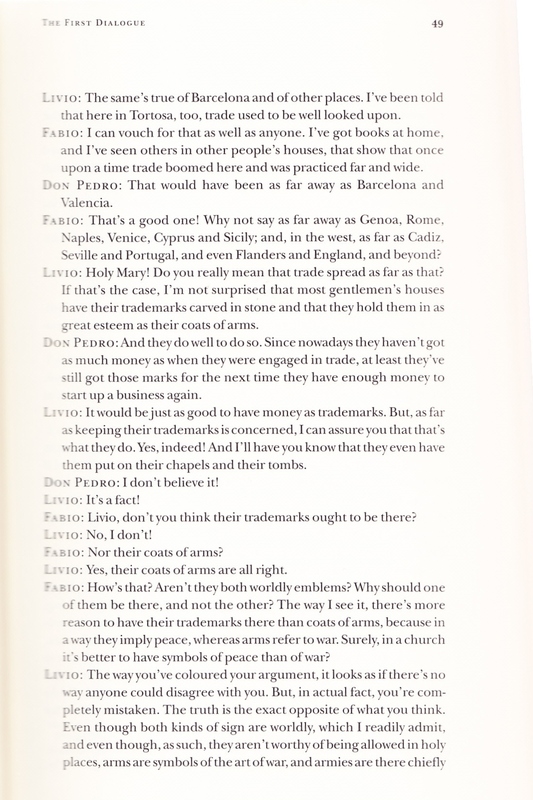 The main features of the dialogue, which typify the revival of the genre in the Renaissance, lie in the way it expresses differing opinions, creates multiple perspectives and constructs a consistent plot that imitates a spontaneous conversation whilst providing a structure for the speakers’ reflections. 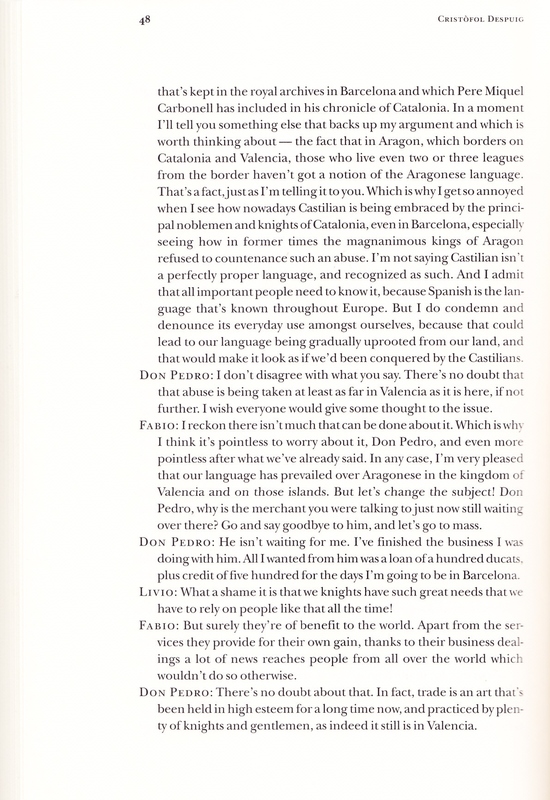 Both the ways in which it articulates the discussion and the specific ideas that it allocates to its speakers make of Despuig’s Dialogues a text that exemplifies the Renaissance in Catalonia.